Has psychoanalysis become postmodern? How are the various schools of psychoanalysis being altered by postmodernism? What role does psychoanalysis have to play in the cultural debate in postmodern times? 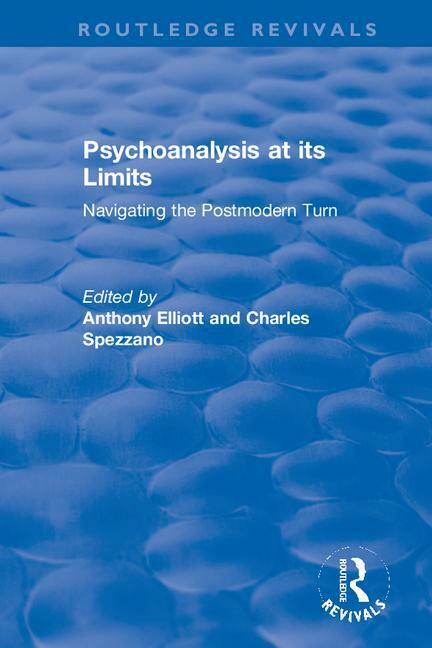 Originally published in 2000, Psychoanalysis at its Limits offers a stimulating account of the complex and contradictory nature of psychoanalysis in the postmodern age. It presents a history and critique of the concept of postmodernism throughout contemporary psychoanalytic thought. As such it is a critical survey of the complex relations between desire, selfhood and culture.